Historically yoga was more than just a way of teaching; it was a way of life. People dedicated themselves to a lifestyle and culture that included learning healthy eating habits, bathing rituals and everyday social interaction. Each pose or position in yoga has an individual name and is known as an asana. E.g. The Warrior. 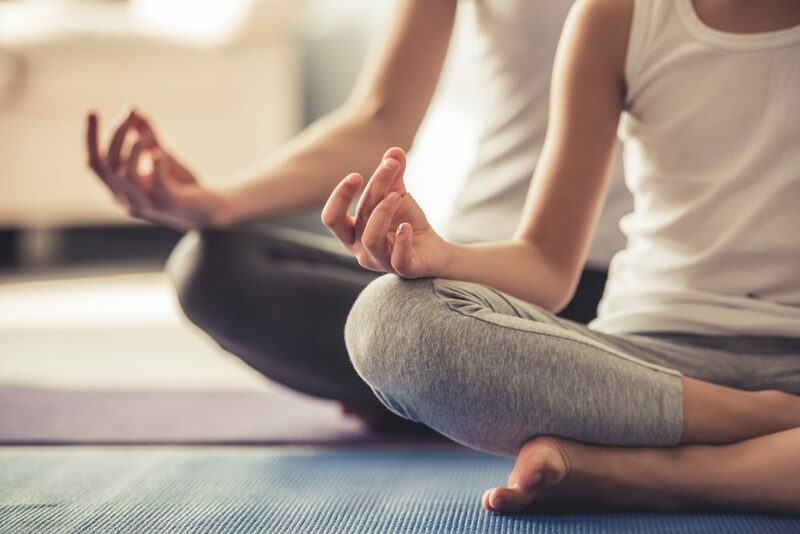 While many may see Yoga as just a way of getting in a low intensity workout in, they’re actually missing out on understand how many hidden benefits yoga has. Many yoga methods use particular meditation techniques which help to focus your mind on your breathing. Practising breathing rituals can relieve your mind from its constant chitter chatter and over thinking. Breathing slowly and correctly, can also boost Oxygen levels to your brain, releasing lots of happy, positive endorphins which reduce stress levels. The stigma associated with Yoga is that you have to be flexible in order to participate, when actually it doesn’t matter how tight your muscles are. Each yoga asana, works by safely stretching your muscles while also stretching various soft body tissue like our ligaments and tendons. Once we increase our range of motion by practising more frequently, our bodies will allow us to move around more freely. By maintaining a healthy balanced lifestyle, yoga will also help you to maintain a healthy weight. As your flexibility grows, along with your muscle tone and strength, you will find that your posture will greatly improve. Each yoga asana will help to strengthen your abdominals and back muscles which extends your spine and therefore improves your posture and stance. Each yoga asana focuses on between 2 -4 specific muscles of the body without putting too much stress on them. If these are practised in the correct way several times a week, you will not only feel the benefits, but you will also visibly be able to see your strength improvement. By making yoga a part of our weekly routine and taking some time yourself, your lung capacity will increase due to focusing and practising deep breathing techniques. Meditation and relaxing yoga asanas will reduce your heart rate which helps to lower blood pressure. Lowering your blood pressure is also known to lower your Cholesterol. This will strengthen your immune system and release an extra load of endorphins throughout the day. Watch this space for updates on new Yoga poses to try out and add into your stretching routine each week. With so many beneficial health motives, it’s never too late to start practising!